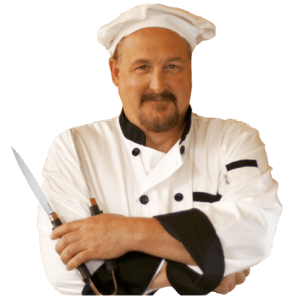 Chef Caron is a company, formed in 2014 as DBA of Rhotus LLC. The company specializes in barbecue and wine products and sells primarily on Amazon. Its flagship product is the Chef Caron barbecue grill mat, which was designed and manufactured with the goal of producing the best grill mat available. The formation of Chef Caron came about through an unusual series of events which coalesced in a strangely serendipitous manner (how’s that for a sentence?) The two main players in this scenario are the brothers, Dave and Don Caron. Don Caron is the owner and operator of the company and his brother Dave, the chef in real life, is the personality portrayed on the packaging and advertising. 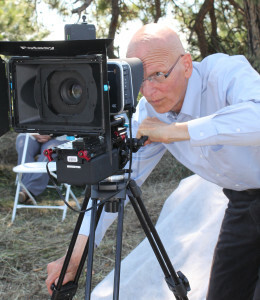 Dave Caron has lived and worked in the Flathead Valley of Montana his entire life. He has deep roots there with an extended family; including a sibling, two sons and their wives, and (as of this writing) three grandchildren with another on the way. Over the years, he has served at various schools and programs in the Flathead as a coach for baseball, football and wrestling clubs. He currently coaches a Little Guy Wrestling program in Kalispell, Montana – the Evergreen Wrestling Club. In the company Chef Caron, he is the official Chef Caron, and serves the role of Culinary Advisor. Don Caron li ves in Spokane, Washington where he has worked in numerous capacities, including roles as a composer, screenwriter (The Basket, MGM 1999), pianist, choreographer, conductor, sound designer, post production sound supervisor (NxNW Entertainment), and most recently as a film director (Different Drummers, Heritage HM 2014). He co-wrote the screenplay and co-authored the book, Different Drummers, and in 2012 he and his co-author, Lyle Hatcher, raised 1.5 million to produce and direct the movie. It is currently in worldwide release through Heritage HM. Early in 2014 the Caron brothers put their heads together and came up with an idea to combine their talents and skills. Their idea was to raise money for Dave’s Little Guy Wrestling Club, which was badly in need of some new wrestling mats. They decided to host a screening of Don’s new family feature film, Different Drummers, as a fundraiser for the wrestling club in Kalispell. The event was organized through Tugg.com, a relatively new online company that arranges theatrical screenings of independent films anywhere in the US. The fundraiser was a great success, and it gave the Caron brothers time from their busy lives to work together. Dave showed Don the research he had done on the BBQ grill mat, testing and experimenting with virtually all the mats currently on the market, and wondered if there was a way to get his own design of the BBQ grill mat manufactured and into the marketplace. “It would be the best grill mat on the market,” he promised. In that moment the idea of their new company, Chef Caron, was born. Don was in between projects at the time, having just completed the feature film he was working on. He was creating an online business by private labeling products to sell on Amazon, so his brother’s idea of designing and manufacturing the best grill mat fit in with his new endeavor perfectly. They planned to invest in manufacturing a better quality BBQ grill mat, one that was more durable, thicker, easier to work with, easier to clean, and even safer to use. They decided to use a new (and more expensive) manufacturing process that would leave no trace of a chemical known as PFOA, that is often found in nonstick cookware and is known to be harmful to health when overheated. Lastly, the goal was to create a product that could be used in a professional kitchen as well as in the home. Their product tests were a success. Everything on their list for producig the best grill mat had been achieved. 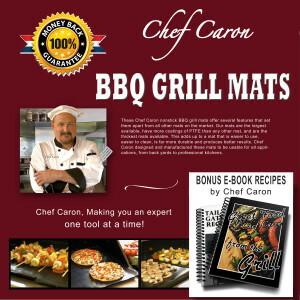 Now, a half a year later, Chef Caron is the sole manufacturer and distributor of the Chef Caron PFOA-free, Nonstick BBQ Grill Mats. Nonstick grill mats are described by Chef Dave as , “one of the coolest BBQ tools to come along in quite a while.” The product has multiple names in addition to “bbq grill mat”, including PTFE sheet and PTFE fabric, grilling sheet and nonstick grill mat. To use a BBQ grill mat, you simply lay it on the grill and cook on it (after reading the instructions, of course). It makes grilling foods of all types possible. The grill mats are also usable in a wide variety of other applications. The mats can be cut to any size or shape. They can be used in the drip wells of a gas range, by cutting them into a circle and cutting a hole from the center. Any sharp cutting tools can be used to resize the PTFE material, including fabric cutters. 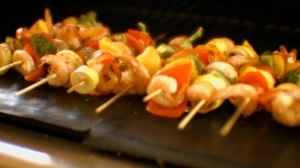 The BBQ grill mats function equally well in non-barbecue applications, including use as a baking mat. They can be used directly in the oven (at medium temperatures) either directly on the oven grates or on a cookie sheet or in any other type of pan as a pan liner. By using them this way, any pan can be turned into a usable piece of nonstick cookware. Following the success of their “Best Grill Mat” undertaking, the brothers are planning to introduce more BBQ gadgets and Barbecue Utensils, with an eye to making affordable tools that can be used in a professional setting as well as in the home.